I really like this idea, but … well, see after the quote. It’s easy to compare prices on cameras, vacations, and homes. 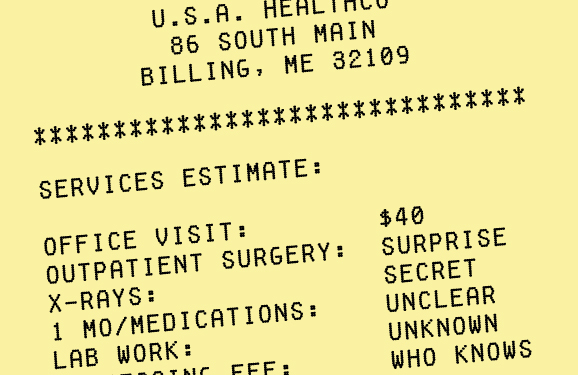 But in the United States, patients fly blind when paying for health care. People typically don’t find out how much any given medical procedure costs until well after they receive treatment, be it a blood draw or major surgery. This lack of transparency has contributed to huge disparities in the cost of procedures. According to Castlight Health, a startup based in San Francisco, a colonoscopy costs anywhere from $563 to $3,967 within a single zip code. EKGs can range from $27 to $143, while the price for a set of three spinal x-rays varies from as little as $38 to as high as $162. 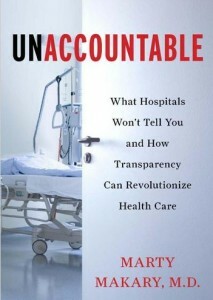 Will We Ever See Accountability And Transparency In Our Healthcare System? President Obama, where is your promise about transparency and accountability in Obamacare? 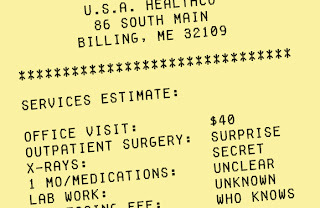 A major problem in the healthcare system is the lack of transparency and accountability. It has been unchecked for a very long time. Both primary and secondary stakeholders act in their self-interest. These stakeholders have had ample opportunity to be non-transparent and non-accountable. All the stakeholders have abused the healthcare system. “If a physician tells a patient that there is only a 1/10,000 chance that an MRI will yield something useful, if the patient doesn’t have to pay for it, the patient wants the MRI.